Indonesian travel agents have had to cancel and change plans for thousands of Muslim would-be pilgrims heading to the Middle East, amid reports Israel will soon bar Indonesian passport holders from entering the country. The apparent ban, which travel agents were told about last week, comes after Indonesia’s recent decision to deny visas to dozens of Israeli nationals, for reasons officials have declined to explain. The block on Indonesian passport holders is set to come into effect after June 9, and will prevent Indonesian pilgrims from visiting Jerusalem, a holy city for Christians, Jews and Muslims. While Indonesia and Israel do not have formal diplomatic relations, nationals of both countries have previously been able to visit through various visas. Cecilia Patty, the director of the Agindo Tours travel agency in Jakarta, said she was informed about the ban by her Israeli business partner on May 29. 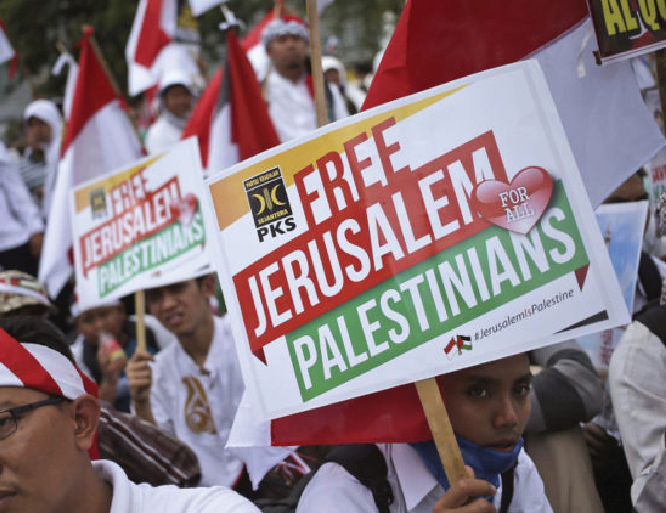 Most Indonesian pilgrims to the Holy Land take trips that begin in Egypt, then head to Israel and the Palestinian Territories before ending in Jordan. Ms Patty said the impact of the ban would be mostly be felt by Palestinians, as Indonesian pilgrims often spend time in the cities of Bethlehem, Jericho and Hebron. During the Christmas period, most hotels in Bethlehem were packed with Indonesian tourists, she said. Yudianto, another travel agent from My Halal Trip Indonesia (MHTI), said his business had registered around 400 pilgrims to travel to Jerusalem after the June 9 deadline. “We will leave for Egypt and Jordan and have to cancel trips to Jerusalem,” he said. Indonesia’s Law and Human Rights Minister Yasonna Laoly last week confirmed that dozens of Israelis seeking to enter Indonesia had been denied visas. “In the last few days there were 53 Israeli citizens who were denied visas. That’s true,” Mr Laoly told reporters. When asked why the Israelis had been rejected, he said the matter was “sensitive”. Local media has speculated the recent violence in Gaza may be behind Indonesia’s immigration decisions, but the country’s Foreign Minister Retno Marsudi denied there were political factors at play.